Using ruggedized fiber optic cable, connectors and enclosures can ensure that network communications run reliably at high speed — far into the future. Every year, serious accidents occur at water and wastewater treatment facilities around the world. Often these calamities are attributable to a breakdown in the communications systems that monitor and control the flow of critical plant processes through various treatment stages and vessels. Events such as overflows caused by motors or valves failing to actuate, for example, can result in flooding that spills potentially millions of gallons of untreated sewage into waterways and communities, threatening the ecosystem as well as the health of residents. Most of the functions of treatment plants are monitored and controlled by cable-based communications systems, and because they are exposed to very harsh chemicals and elements, it is vital to plant safety that these systems — including cables, RTUs, enclosures and so forth — are operating with optimal speed and reliability. Even when communications systems are operating inefficiently, serious problems can result. For example, outdated communications networks based on copper cabling can slow treatment plant throughput, resulting in insufficient capacity to support a community’s sewage disposal requirements. Outmoded communication networks can also result in exorbitant plant and network maintenance costs due to frequent service, as well as security and environmental compliance problems. For all of those reasons, today’s efficient wastewater treatment plants are basing their communications network infrastructures on ultra-reliable, high-speed fiber optic cabling coupled with connection and control devices that are designed to withstand the harsh environments within those plants. This approach not only protects against environmental accidents, but can also ensure optimum plant throughput, security and compliance. As with other networks that monitor and control switches, motors, valves and other devices throughout a plant, the need for speed is growing exponentially within many wastewater treatment plants. 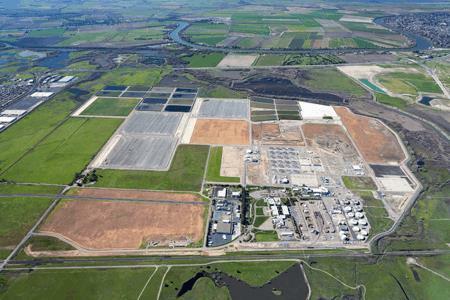 In Elk Grove, California, the Sacramento Regional County Sanitation District (Regional San) is constructing the EchoWater Project at the Sacramento Regional Wastewater Treatment Plant (SRWTP) at a cost approaching $2 billion. This project will allow the SRWTP to meet discharge requirements set by the Central Valley Regional Water Quality Control Board and State Water Resources Control Board in 2010, and in subsequent amendments. When completed in 2023, the EchoWater Project will improve the quality of water discharged into the Sacramento River, increase opportunities for water recycling, and ensure safe and reliable wastewater treatment for the more than 1.4 million residents in the Sacramento region. Ronald Kwok, Associate Electrical Engineer at the facility, says that a high-speed, fiber-optic based communication network is essential to meeting increasing data transfer requirements for monitoring and controlling wastewater treatment plant operations. While upgrading to a high-speed fiber system is a top priority for many wastewater treatment plants, selecting the appropriate type of cable, connectors and enclosures utilized in these harsh environments is critical. In municipal treatment plants, such as Sacramento’s, communications infrastructures are exposed to harsh chemicals such as chlorine, bromine, sulfur dioxide and methane. Networks installed in industrial treatment plants could be exposed to a much wider array of harsh elements, including caustic acids, sulfates and salts. Kwok, who has been with Regional San for almost 20 years, says it is essential to wastewater treatment plant communication system performance and reliability that fiber optic cable and related components have the durability to survive in such harsh environments. The main physical attributes that are usually required of cable in this environment are chemical resistance, impact resistance, and the ability to bend without damaging the cable jacket or fiber strands inside. Tight-buffered, tight-bound cable has many advantages over loose tube or ribbon-type cable, which is still in use at some wastewater treatment plants. To begin with, this type of cable offers fluoropolymer jacketing built to withstand long-term, severe chemical environments, including the caustic vapors present in most water treatment plants. These cables offer excellent impact and moisture resistance over loose-tube gel-filled type cable constructions. They are designed for both indoor and outdoor use, and are capable of long-term survival in humid and wet environments. 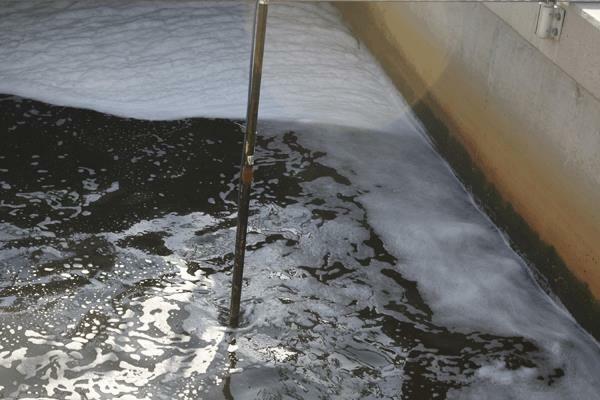 In wastewater treatment plants this durability is vital to maintaining PLC, RTU and SCADA signal integrity as well as overall network-wide transmission reliability for optimal plant performance. Tight-buffered cables are also ideal for security camera applications to provide high definition video imaging to protect wastewater treatment plants against intrusions, equipment failures, or other threats. These types of cables are expected to provide many decades of reliable service plus significantly less downtime and reduced maintenance costs. There are many different types of tight-buffered, tightbound fiber optic cable available, although Optical Cable Corporation’s (OCC) (www.occfiber.com) BX Series breakout and DX Series distribution cable are the versions most commonly used in wastewater treatment plant applications. OCC pioneered the design and production of tight-buffered cables for the most demanding military field applications. The company currently manufactures a broad range of fiber optic cables for high bandwidth transmission of data, video, and audio communications, including cables for the most demanding commercial and industrial environments. Among the most popular cables for harsh environments are the 12-strand BX Series breakout cable and the D Series and a variety of BX Series armored distribution cables. Wastewater treatment plants can also benefit from the installation of cable connectors that are specifically designed and tested to withstand the harsh conditions of the wastewater treatment plant, and to protect those connectors in corrosion-resistant cabinets or enclosures. A few manufacturers are now offering factory-installed connectors in order to provide maximum durability of connections as well as to maintain signal integrity in harsh environments. Many water and wastewater treatment plants install “pre-terminated” cables and connectors because they are an economical solution for high bandwidth requirements such as security cameras. Corrosion-resistant enclosures are often vital to the protection of fiber optic network components against harsh environments. For example, OCC offers a variety of indoor/outdoor rated cabinets that are constructed of corrosion- and temperature-resistant molded fiberglass-reinforced polyester. Enclosures with limited space can be complemented with DIN-rail systems that protect cable terminations in the most adverse wastewater treatment plant conditions. These systems also simplify the installation of upgrades or modifications to existing network structures. In combination with the appropriate selection of ruggedized, pre-terminated fiber optic cable, these components not only assure a reliable and durable communications infrastructure, but also enable installations that are quicker and easier. For information contact: Optical Cable Corporation, 5290 Concourse Drive, Roanoke, Virginia, 24019; Phone: (800) 622-7711, Canada (800) 443-5262; FAX: 540-265-0724; Email: info@occfiber.com; Visit the web site www.occfiber.com.